Chelsea Manning faces an administrative disciplinary board tomorrow that may punish her for charges directly related to her July suicide attempt. This board is happening even though it was the government’s own mistreatment of Chelsea that drove her to attempt to take her own life earlier this year. The process of preparing for the board has been very emotional and traumatizing for Chelsea. It requires her to continually relive the painful experience over and over again. Chelsea must prepare her defense completely on her own, and will appear in front of the three person panel alone. She is not permitted to consult with or have an attorney or other advocate present during the hearing. The hearing itself could last for hours and there will be no transcript or account of the proceedings available to the public beyond what Chelsea herself is able to convey. Chelsea Manning ended her hunger strike last week after the U.S. military agreed to move forward with some recommended treatment for her gender dysphoria. However, she found out the next day, when she was given a second, more detailed charge sheet, that the Army is continuing to threaten Chelsea with solitary confinement for charges directly related to her attempt to take her own life. The news that she will be meeting with a surgeon, and may hopefully receive some of the currently withheld medical treatment for her gender dysphoria, was a huge relief, but that relief has been largely overshadowed by the prospect of solitary confinement. Solitary confinement, because of it’s harmful effects on those subject to it, has been defined by the UN as a form of torture. Fight for the Future is making some of the documents from Chelsea’s case available to help better explain what is happening to her. Formal Charge Sheet (PDF) (Dictated over the phone because the page was missing upon arrival to Chelsea’s counsel). Chelsea sent an envelope of documents, including the Formal Charge Sheet (the most important document, as far as Chelsea was concerned) to her attorney, Chase Strangio. One document was inadvertently left out, and so Chelsea dictated it to her support network over the phone last night. This charge amounts to disturbing the orderly running of the facility. 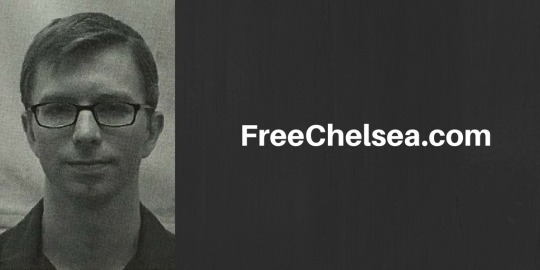 Chelsea did not ever engage in “threatening behavior,” the prison interprets “conduct that threatens” broadly to encompass any activity that disrupts the normal routine and charging Chelsea because her suicide attempted allegedly did that. On July 6th, Gabriella Coleman’s book “Hacker, Hoaxer, Whistleblower, Spy” was found in Chelsea’s cell, allegedly not properly marked with Chelsea’s name and inmate number on the inside cover. (A new regulation, that appears to have been crafted in response to Chelsea’s confiscated books/expired toothpaste incident from last summer.) In fact, this book was one of the books confiscated from Chelsea’s cell last summer. Hundreds of thousands of people spoke out in support of Chelsea, and now, as a result, the government is finally agreeing to move forward with some of her longstanding medical treatment needs. It is difficult trust even this assurance, though, given that they are on the one hand recognizes that she has an urgent need for treatment but on the other punishing her for the consequences of having had that treatment denied. Section oo. Resisting Forced Cell Moves (Category IV or V offense). Any action taken to impede, resist, or interfere with the actions of forced cell move teams, including, but not limited to, trying to keep the cell door closed, throwing objects at the Force Cell Move Team (FCMT) or attempting to grab team members while in the performance of their duties. Any action taken that causes the FCMT to be activated, even if it is not used is a category IV offense. //Despite the misleading charge name, we have bolded the sentence that allows the prison to punish Chelsea for the team being called at all – a perfect example of the prison making the rules apply whenever they see fit. Section ii. Prohibited Property (Category III offense). Anything not specifically authorized by proper authority to be in a prisoner’s possession is prohibited. Prisoners must obtain and keep written permission from the Facility Commander, or authorized representative, to possess any item not authorized by facility policy or staff. Any item not specifically authorized and found in a prisoner’s possession will be considered prohibited property. Possession of property obtained from trash receptacles, or that which was discarded in any other way by other prisoners or staff is prohibited. Property that has been altered from its original form without facility authorization will be considered prohibited property. general research reference materials that Chelsea uses for article writing. These materials were never returned to her. Section m. Conduct Which Threatens (Category IV offense). Any conduct which interferes with the orderly running, safety, good order and discipline, or security the facility. Somehow she is being charged with threatening the “safety" of the facility. As if her actions, alone in her cell to herself, could put the prison facility at risk.